Welcome to FasterSkier’s Holiday Gift Guide! The holidays are here and it’s time to go hunting for the perfect gifts for your favorite cross-country skiers. Whether it’s a fresh pair of socks or a new wax bench we have recommendations for the best gear out there. Take a look and see for yourself. You’ll walk away with some great ideas to make this ski season one to remember. We’ve broken up our gift guide into five budgetary segments: Under $20, $20-$50, $50-$100, $100-$200 and $200-and-over. Happy shopping! 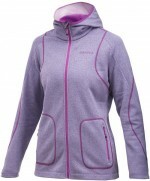 Craft Active Full Zip Hood ($89.99) – Another great item from Craft that is stylish and functional. Wear this full zip hood everywhere and for everything. Find it at Craft. Trigger Point Performance 2.0 Foam Roller ($64.95) – this foam roller is great for massaging sore muscles after a long training session or race. Available at REI. Craft Active Extreme Underpants ($74.99) – Great for training, racing, and staying warm on a cold day this pair of long underwear will serve you well for years to come. Available at Craft. 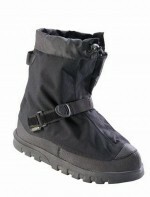 Neos Overshoes ($74.95 and up) – These overshoes are great for post race warmth, comfort and dryness. Perfect for the race spectator as well. Get a pair at Amazon. 2XU Compression Elite Socks ($60) – Compression is proving to very important in ski gear. Try them out. Available at Boulder Nordic Sport. Bjorn Daehlie Vest ($59.95) – a high quality mid-layer for a day on the trails. Get yours at Gear West. Toko Start XC Duffel ($69.00) – This duffel is rain, snow, and cold proof. 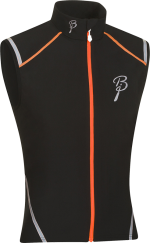 It was designed with cross skiers in mind and will definitely get the job done. Available at New Moon Ski Shop. Bliz Pursuit XT Sunglasses ($99.95) – A durable, stylish pair of sunglasses.Emil Jönsson wears them so you know they’re cool. Available at Gear West. Sleigh Ride at Lone Mountain Ranch ($84.00) – Take a romantic ride through one of the most beautiful places in Montana. Contact Lone Mountain Ranch to schedule yours.